Yesterday, Ubisoft announced that the upcoming Assassin’s Creed Freedom Cry would be given it’s own stand alone release for the Playstation 3 and 4 consoles. 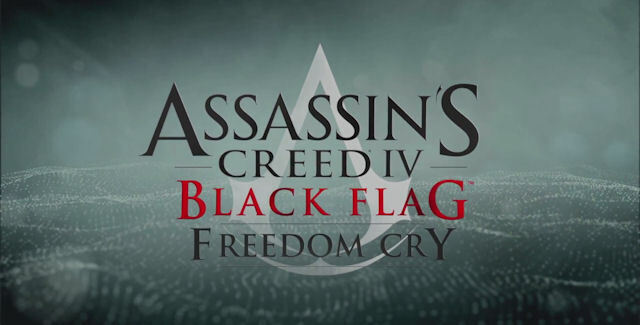 Previously, Freedom Cry was slated for release as DLC for Assassin’s Creed Black Flag, before pulling a Blood Dragon. This new DLC will feature over 4 hours of new gameplay, a brand new character to play as, and an entirely new setting, taking place 15 years after the events of Black Flag. Now a fully trained, and fully deadly assassin, Adewale is stranded in Saint-Domingue, alone. Quite the situation, indeed. Freedom Cry will hit the shelves for Playstation owners on the 18th of February, while the PC version will be released on the 25th at the price of 14.99$. Does Freedom Cry seem like an interesting game, or do you think the series died a long time ago? Let me know below.